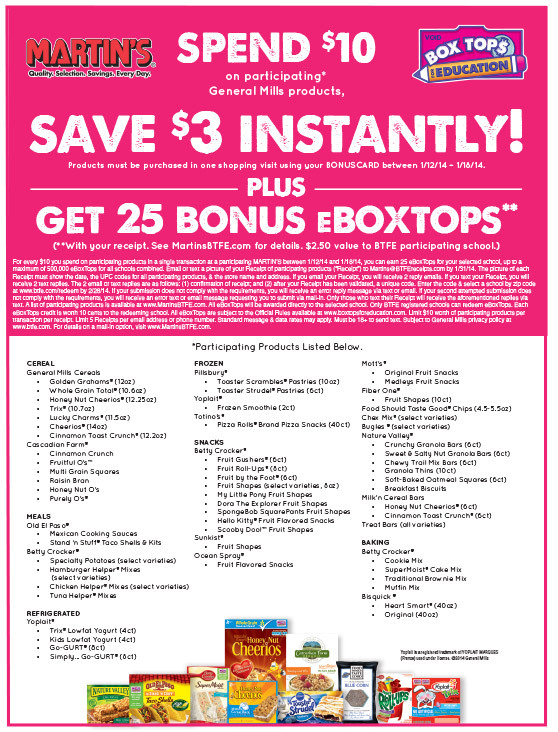 General Mills Box Tops for Education utilizes TPG’s Digital Receipt Validation System (DRVS) to support local schools across the country. 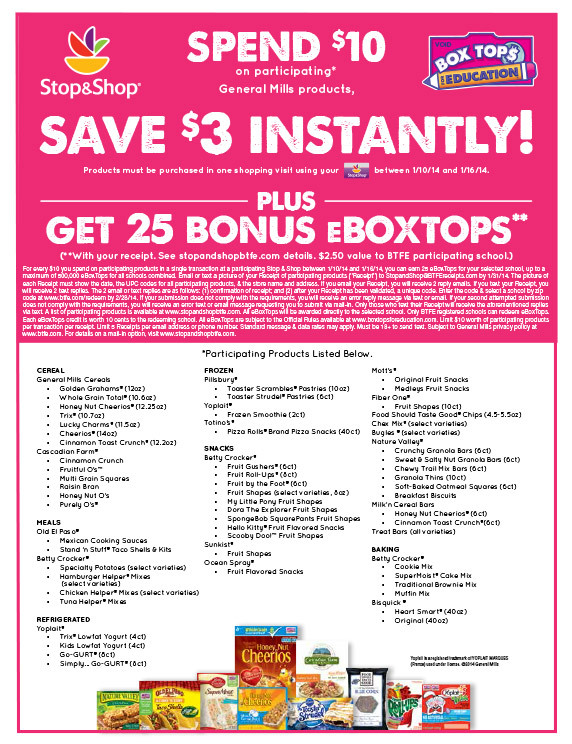 Consumers can earn Bonus Box Tops at Ahold banners including Stop & Shop, Giant Landover, Giant Eagle and Martin’s stores during the January “Return to School” shopping period. This program utilizes DRVS to validate consumer who purchased $10 or more in qualifying General Mills purchases. 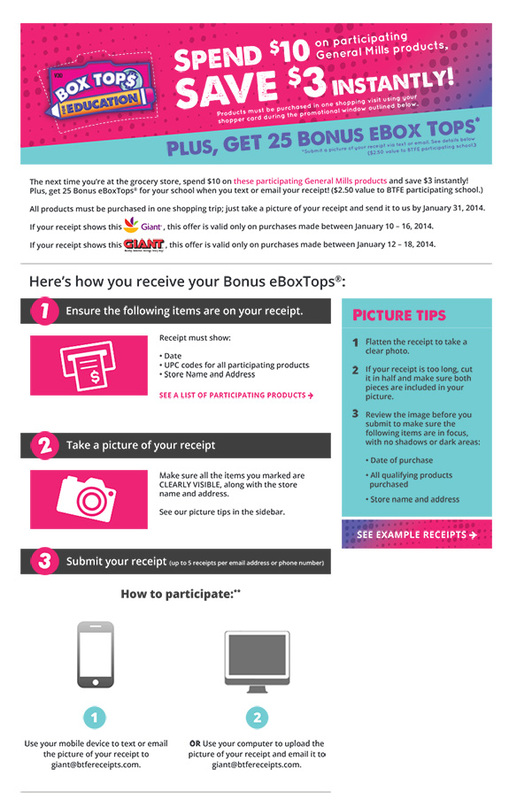 Qualified consumers earn an eBox Tops code, instantly redeemable for Bonus Box Tops for Education value to the designated participating school. Consumers who purchase $10 in General Mills products at Stop & Shop stores between January 10, 2014 and January 16, 2014 will be instructed via to submit their receipt to stopandshop@btfereceipts.com. Consumers can make qualifying purchases at Martins or Giants stores between January 12, 2014 and January 18, 2014 and submit an image of their receipt to giant@btfereceipts.com or martins@btfereceipts.com. 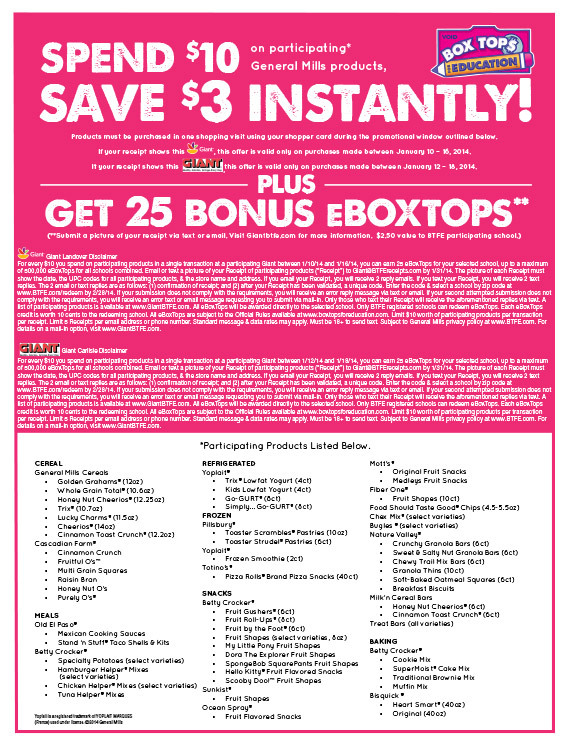 TPG’s DRVS system then validates the receipt and issues a code redeemable for 25 Bonus Box Tops.